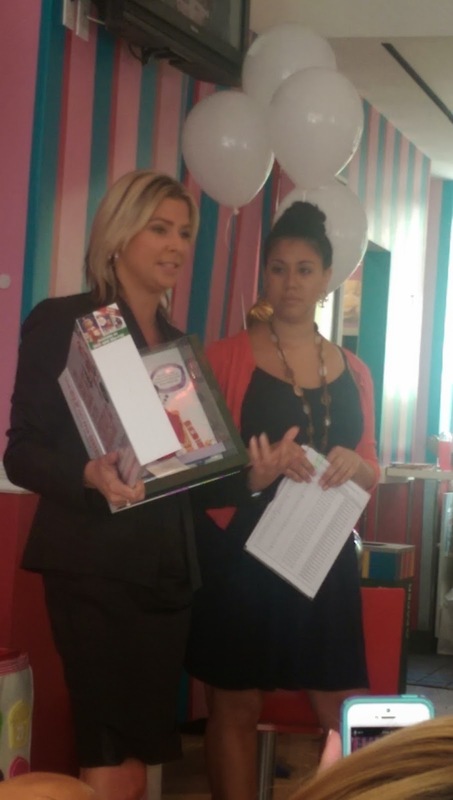 Disclosure: I attended this #ElfBirthday event as Media, Attendees received Elf on the Shelf goodies to take home. As with all my posts, opinions are 100% honest and all mine. This post contains affiliate links! 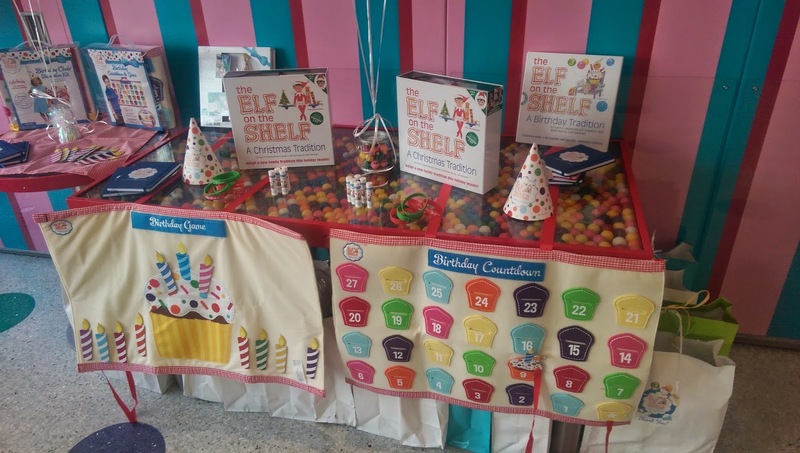 Two weeks back, I attended an Elf on the Shelf Birthday Party event sponsored by Niche Parent and hosted by Lisa Quinones-Fontanez, writer and blogger at Atypical Familia at the famous Dylan's Candy Bar in New York City. 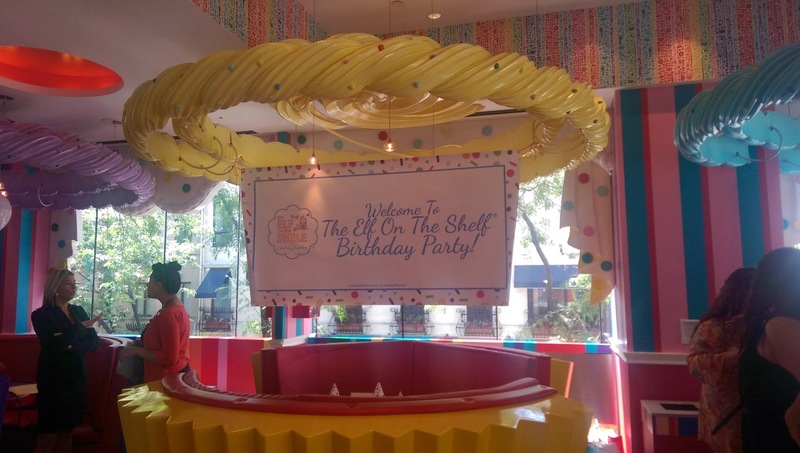 I was invited, along with a few other wonderful bloggers, to hear Co Author and Co Founder of The Elf on the Shelf, Christa Pitts, speak about a new product that they are introducing: The Elf on the Shelf Birthday Tradition. When most people hear Elf on the Shelf, they probably think about Christmas time and all those Hilarious, Cute, and sometimes weird photos of the Elf on their Timeline. The Elf visits and can see everything your child does starting Late November (or whenever your family chooses). The Elf then reports back to Santa each night until Christmas day where he (or she) is then put back in their box and hidden in the closet until the next year. But now... the Elf can come back for your child’s birthday! Santa lets his little elf helpers come visit special girls and boys on their Special day! 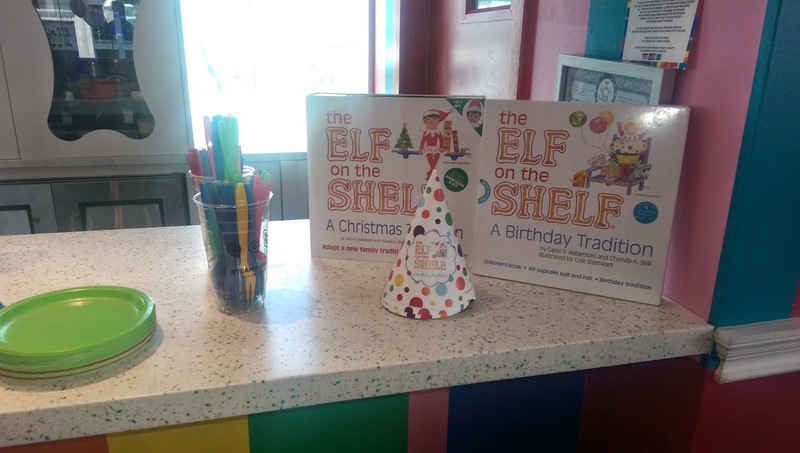 The Elf on the Shelf : a Birthday Tradition, brings a new story into your family's lives and also the chance to make wonderful new memories! It also comes with the most adorable little Birthday outfit for your elf! 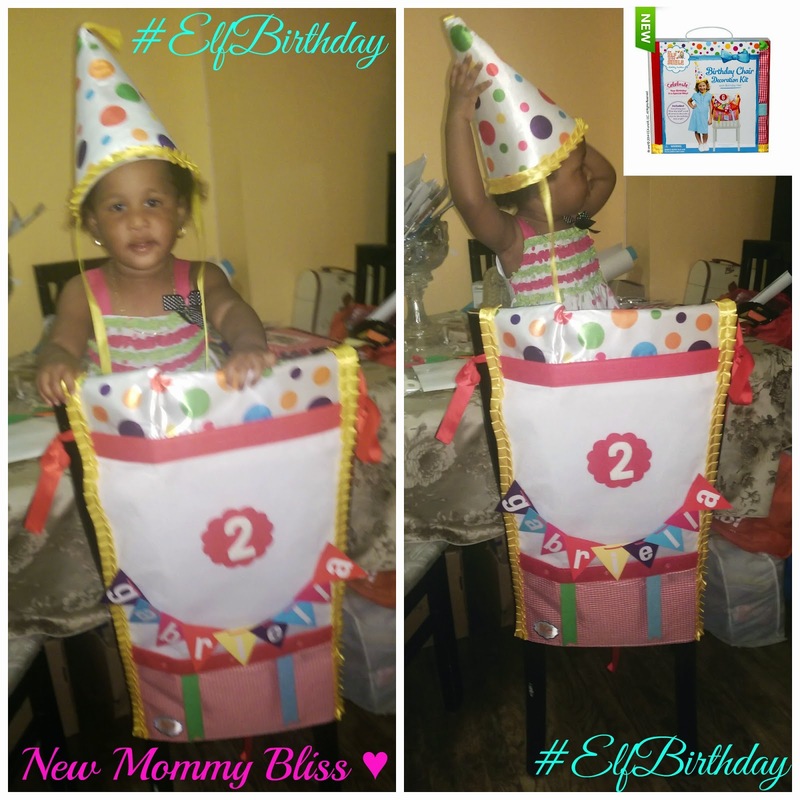 Other Awesome #ElfBirthday items making their debut is the cool 2-sided Birthday Countdown and Game. 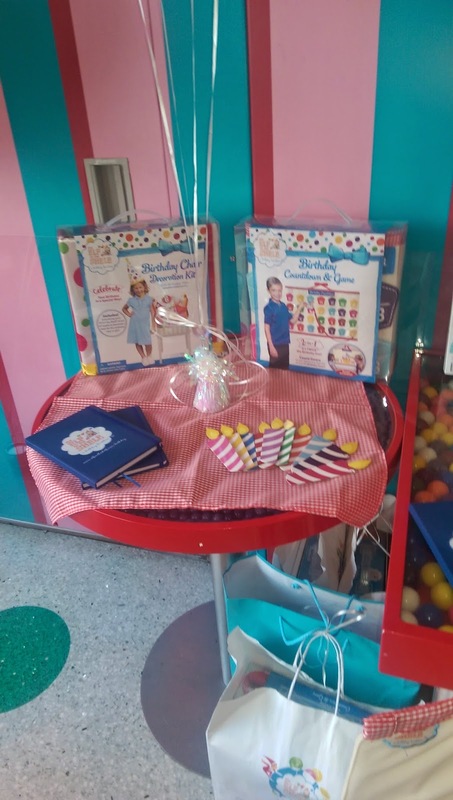 As well as the Birthday Chair Decoration Kit! Made with durable material, this kit is perfect whether you have 1 Child or plenty. 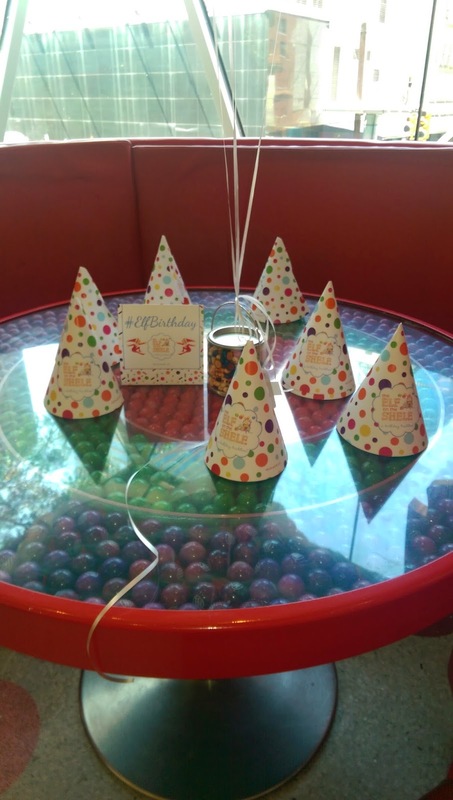 The Interchangeable letters and numbers are perfect for Birthday celebrations year after year! The Elf on the Shelf Christmas edition also come in Spanish and French! How awesome is that? The Elf comes in different Genders and Skin Tones! Elf on the Shelf has partnered with Charity Water. 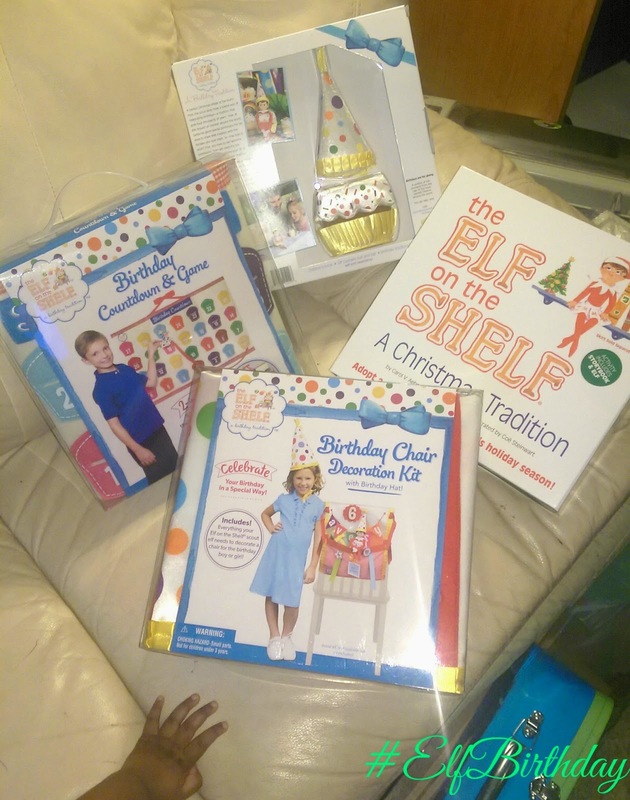 $1 from Each sale of one unit of The Elf on The Shelf: A Birthday tradition will be donated to Charity Water. Coming Soon! On November 2, 2014; Elf Pets Reindeer will be coming to stores near you! The Elf Pets Reindeer builds up love in his heart by receiving lots of cuddles from the kids, unlike the traditional Elf. Your kids can even name it! What are your family's #ElfOnTheShelf Traditions?